While their rivals work hard to catch up, BMW takes luxury and performance to the next level with their new 5 series of midsize luxury sedans. With dynamic engine choices, generous interiors, and easy-to-use technology, the BMW 5 Series is interactive and advanced. The new series offers efficient new turbo engines including the 530i, 530e, 540i, 540d, and the M550i to choose from. They power the rear or all four wheels through an eight-speed automatic transmission for powerful performance. Personalize your individual driving performance with the series’ optional Dynamic Handling package which offers adaptive suspension, upgraded brakes, and active steering. This innovative option provides an immaculate drive, even on challenging and curvy roads, with comfortable stability and great safety. Interested in learning more about the BMW 5 Series? 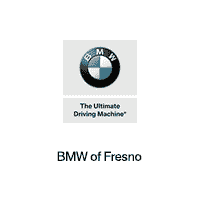 Visit our showroom in Fresno today!